Live Life with awareness and gentle pace. Regular daily routine and fixing a time table for yourself is a must for balancing Vata dosha. Abhyanga – Daily 10–20 minute massage with some Vata balancing and warming oil. Walking, yoga or gentle exercise routine that includes a calm, stretch-focused form of workout would help. Keeping yourself warm, no matter what the weather. Soothing music to calm the nerves. 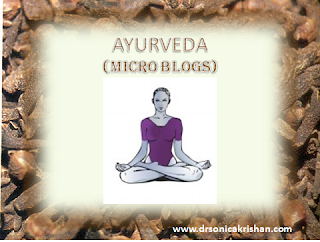 It is about using all the five senses to see, feel, hear, smell and taste the most sacrosanct basis Ayurvedic tradition. Eating the right food, herbs and spices along with getting an Abhyanga Ayurvedic massage therapy to activate the sense of touch, smelling aroma oils to awaken the element, seeing the beauty of nature in its best form along with listening to the ragas and music is recommended. Why Abhyanga Can Be Medical Boon?